The 2011 Barolos have turned out to be a very pleasant surprise. After the epic, cellar worthy 2010s, the 2011s will give readers plenty of choices for delicious near and medium-term drinking. Overall, the 2011s confirm my impressions from multiple prior tastings. 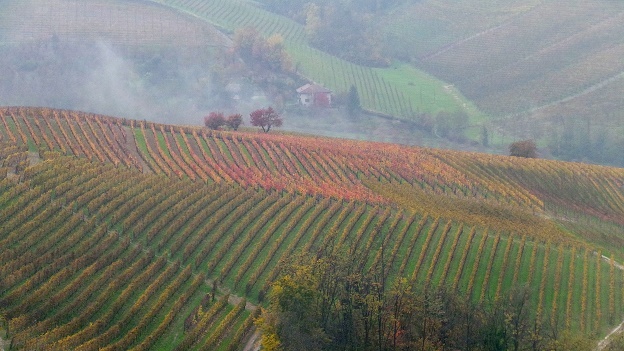 The wines are open, resonant and expressive, with contours that are softer than is the norm in young Barolo. I expect most wines will offer broad drinking windows. One of my concerns with the 2011s was a possible loss of site-specific signatures. While that is the case with some wines, happily at the top addresses the wines are quite representative of their origins. From what I have heard so far, the market for 2011 Barolo is very quiet right now, probably the result of a near-compulsive obsession with 2010 Brunello di Montalcino and long-time buyers feeling a bit tapped out after fighting for the 2010 Barolos. That should give savvy consumers a good window of opportunity to pick up the best 2011 Barolos before anyone notices. Readers who were locked out of some 2010s or who had to deal with severely cut allocations (that includes me) should have far fewer issues securing the 2011s in quantity. That’s not such a bad thing for a vintage that offers plenty of early accessibility, especially next to 2006 and 2010, the most structured vintages of the last decade. Best of all, American buyers have the added plus of a much stronger dollar than was the case last year. For more on the growing season and weather conditions, readers should check out my article on the 2011s from barrel, published in September 2014. This past fall I saw more tourists in Piedmont than ever before, especially from France and the UK. For the first time, I could not step into a restaurant without running into Vinous readers left and right, which was a real delight. There is no denying that Piedmont has caught on with a much bigger slice of wine consumers than ever before. While it is great to see the Langhe enjoying a period of economic prosperity that stands in stark contrast with much of the rest of Italy, I also have concerns. A few days before this trip, I was asked at a private event why I am so passionate about the wines of Piedmont. The answer was, and remains, quite simple. At most addresses, visitors have a chance to meet the person, and often the family, that tends the vineyards and makes the wines. Sadly, I am starting to see the first signs of Piedmont becoming less artisanal and more commercial. That is not to say Piedmont is about to become Napa Valley or Bordeaux, but at the risk of sounding old, things aren't what they used to be. I hope Piedmont’s families and producers recognize they are fast approaching a precipice where many key values that make the region so unique – including a connection to deeply held artisan values treasured by previous generations – are at risk of disappearing. If the locals allow that to happen Piedmont will not only lose a precious and important piece of its history, it will also become just like any other region in the world that makes wine. And that would be tragic. 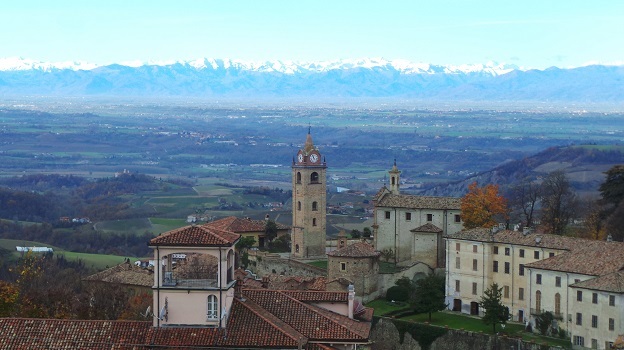 Piedmont has it all; breathtaking scenery, world-class wines and fabulous restaurants. How many places in the world can match that? I can't think of too many. Today’s generation must begin to safeguard what has been handed down to them. That means making sure new buildings are respectful of the pristine hillsides and it means that wine is treated properly in restaurants, among two of the area’s most glaring and enduring weaknesses. 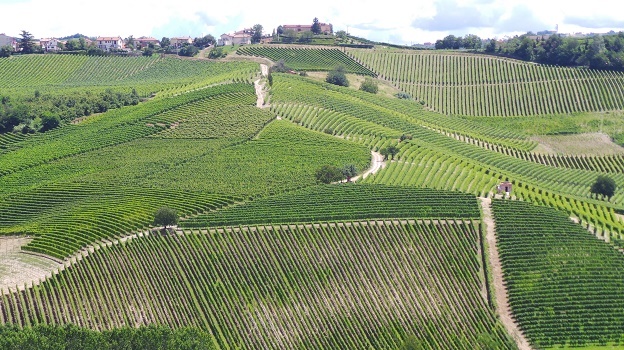 The Langhe is now a UNESCO World Heritage site, which means the attention of the world is turned brightly on the region. It’s time to step it up. We continue to add video and photography to our Interactive Barolo Map, so if you haven’t checked it out in a while, there is plenty to explore and more on the way. In addition, we have posted all of the videos of producers talking about their vineyard sites here. Just as we were going to press, Giacomo Conterno announced their acquisition of Gigi Rosso’s Arione vineyard in Serralunga, a parcel that shares a boundary with Conterno’s Cascina Francia and therefore gave Conterno the right to match an offer from a foreign buyer reported to be from the United States. It is just a matter of time before foreign investors arrive in the Langhe. Actually, they already have, but thus far potential buyers have focused on smaller, lesser-known properties. Name the top five winery groups in the US and the top five luxury brand firms in Europe. You've just named two of the companies that are actively looking, today, to make important acquisitions in Piedmont, and specifically, Barolo. As has been the case now for many years, the spring Barolo article focuses on wines that were bottled during the previous summer. A follow up article, scheduled for the early fall will take a look at wines that were still in cask at the time of this writing, or that I was not able to taste in the fall, including new/upcoming releases from Giacomo Conterno, Gaja, Bruno Giacosa and Giuseppe Mascarello. Readers can also look forward to a comprehensive 2004 Barolo retrospective, a smaller article on the 2008s and detailed notes from the recent La Festa del Barolo. All of the wines in this article were tasted in November 2014.